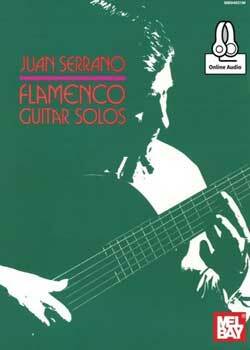 Juan Serrano Flamenco Guitar Solos PDF + Mp3 CD download. This is a superb collection of 8 original flamenco concert guitar solos and two exciting guitar quartets. The selections feature Juan Serrano’s usual technical brilliance and capture the vitality, fire and haunting Moorish moods characteristic of flamenco music. All solos are in notation and tablature. Download Juan Serrano – Flamenco Guitar Solos PDF free and other books from our site. Only high quality PDF scans. Please write a review, it's important for our community.